6 Indoor Plants Anyone Can Keep Alive! — SarahLou Co.
‣ Make sure the planters are big enough for your plant to grow. So do some research to decide what size of a planter your plant needs! Check out this list of my 6 favorite indoor plants, and see what works best for you! Best of luck!! This plant is super trendy right now and is not as hard to take care of as people say! Make sure you water it weekly with about 6 cups of water (check your soil after a couple days, it should be moist about 1” under the top of the soil. If not, water it more). They also need a lot of sunlight and their leaves need to be dusted about once a month so they can more easily absorb sunlight! This plant only needs to be watered every couple of weeks, allowing the soil to dry up to two inches below the surface! This plant needs a good amount of sunlight so be sure to place it in a room with a few windows. These cute little plants need as much light as possible! They need more water than you think. Succulents roots need to be soaked, but then let them dry out and stay dry for a few days. They don’t need to be watered as often as other plants, but when they do get watered make sure to soak it! 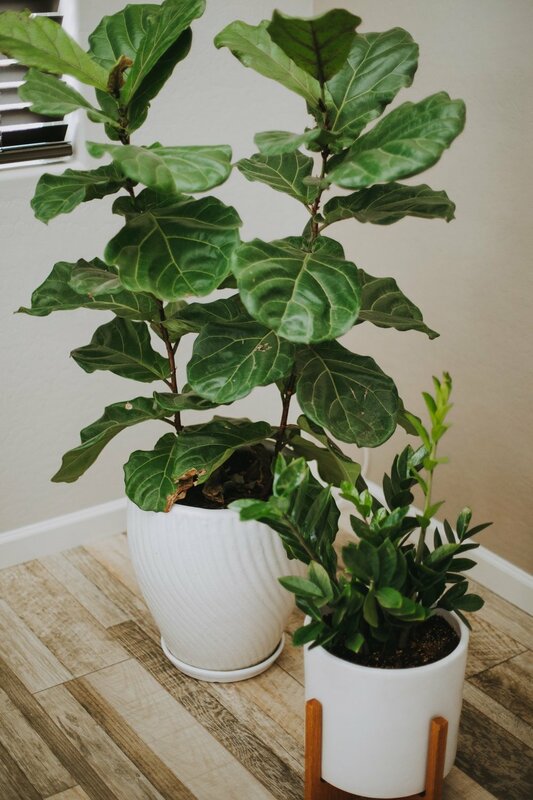 This plant needs 2-3 cups of water weekly and the soil should be pretty moist at all times so make sure you check up on it! They also need direct sunlight. This plant is fun because it hangs over the pot, so it is a nice change compared to plants that stick straight up! This plant thrives in lower light so it is great for rooms with fewer windows. This plant’s soil needs to completely dry out between watering or the roots will rot. This plant only needs to be watered one a month and only with a couple cups of water. This plant also needs direct sunlight.